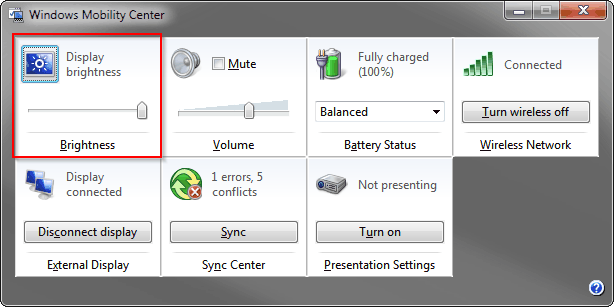 Change Windows Power Settings: Out of the box, most Windows laptops are set to the “Balanced” power settings. That means they use more power when plugged in, and less when not. However, Windows has a built-in “Power Save” option that can get you even more battery life if the need arises. Open up the Power Options control panel (Windows Key + R and then type powercfg.cpl). If you don’t see the “Power save” plan, you may need to click “Show Additional Plans.” In Windows 10, you can click on the little battery icon on the task bar and select “Battery Saver” and adjust the slider accordingly. 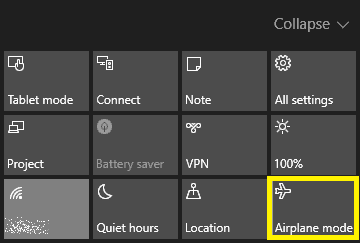 Disable WiFi and/or Bluetooth: Even if you’re not on a plane, using Windows 10 airplane mode will help with your battery. Airplane mode turns off Bluetooth, WiFi and any other forms of radio communication on your laptop. Obviously, you won’t be able to get online or browse the web if you do this, but you will get more battery life so this is perfect if you’re trying to focus on an offline task – like writing a novel or something. In Windows 10, click on Notifications icon down by the clock. Scroll down to see the options. Click on the button saying Airplane Mode to turn it on or off. Disable or Close Battery Hogging Applications: This is a Windows 10 only feature. Windows 10 keeps track of battery usage by application. Type “see which apps are affecting your battery life” into the Windows 10 search bar and click on the result. If you see an app that is using a lot of power, you probably want to kill it. If you see something that is using a lot of battery that you don’t want running all the time, it may be a start-up application. You can follow the directions here to prevent the program from loading at start-up. Also note that while Chrome is the most commonly-used browser, it’s not the best on battery life. Run the Windows Power Troubleshooter: Windows 7, 8, and 10 have a feature that will troubleshoot power issues for you. To launch the troubleshooting tool on Windows 10, head to Settings > System & Security > Troubleshoot > Power. On Windows 7, open the Control Panel, type “troubleshooting” into the search box at the top right corner, and click Troubleshooting > View All > Power. Windows will check for common power issues or settings that could be causing high power usage and offer fixes. Unplug Unnecessary Peripherals: If you have an external hard drive, USB thumbdrive, mouse, or anything of the sort plugged into your laptop while it’s running on battery power, unplug it. 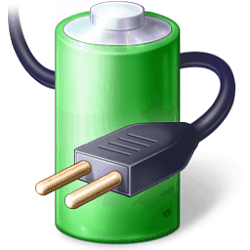 Anything that’s plugged into your system is likely drawing power from the battery in your laptop to work. It might not be much power, but if you’re trying to squeeze every last bit out of your battery, it helps. Keep It Cool: Laptops have pretty intricate cooling systems. If those systems have to work harder to keep the laptop from overheating, that’s going to tax the battery. Don’t set you laptop on surfaces that can cause it to overheat. Surfaces like blankets, carpets or something soft on your lap that will block airflow out of the vents will quickly cause your laptop to overheat, taxing the system and the battery. Get a Replacement Battery: Even with all these tips, and proper laptop battery care, sometimes batteries just die, so you may need to buy a new one. Customer-grade laptops generally don’t have easy-to-replace batteries, but business-grade laptops are usually easier. If your computer is under warranty, there’s a chance that the battery is still covered under warranty if it’s not holding a charge. Call your device manufacturer for details or give us a jingle if you’re looking for a replacement.